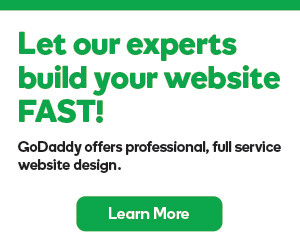 You can use keywords to search the domain name inventory on GoDaddy Auctions®. You can also use filters to perform an advanced search, and you can saved those filters for later use. To perform a basic search, enter the domain name or keywords you're searching for, and then click Go. Note: For more information about a filter, click its question mark (?) icon. Keywords — Lets you search for domain name listings that match, begin with, contain, or end with the keywords you enter. Price — Lets you search for domain name listings that have a Buy Now price, minimum offer, or current high bid (7-Day Auctions only) between the minimum and maximum values you enter. Type — Lets you filter domain name listings by auction type. Hover over the question mark (?) icon for a description of each option. Extensions — Lets you select the top-level domain names (TLDs) you want to search for. Characters — Lets you filter your search by domain name length (number of characters), the presence of dashes and digits (numbers), and patterns of dashes, characters, vowels and numbers. Attributes — Lets you filter your search by category and listing options, such as Buy Now, website, appraisal, featured or sale status and more. Domain Age — Lets you search for domain names by their ages in years. # of Bids — Lets you filter domain name listings by more than, exactly, or less than the number of bids you enter. Traffic — Lets you filter domain name listings by the estimated minimum and maximum number of site visitors per month. Ending In... — Lets you filter domain name listings by the end date you select. For information about saving your search parameters, see Working with saved searches in GoDaddy Auctions.